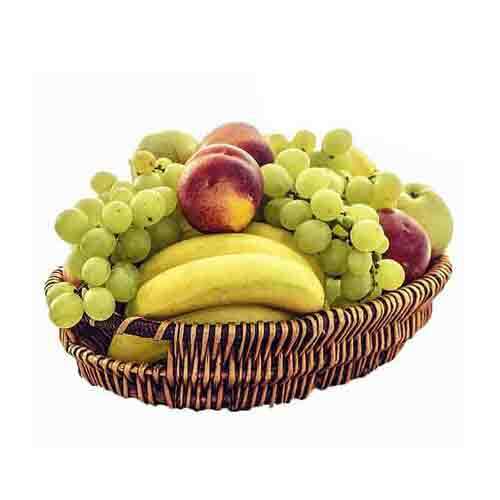 Description: Pamper your loved ones by sending them this Energetic New Essential Fruit Basket that shows how much you care about them. 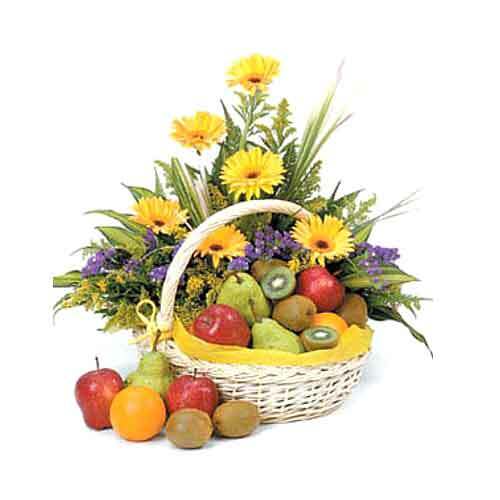 This Gift Basket is dazzling, unique and mouthwatering for its collection of Red Apples, Green Apples, Green Pears, Sweet Oranges, Gong Pears and Kiwi Fruits trimmed with Yellow Gerberas, Statice Purple, Yellow Peacock, Snow White and Bear Grass. 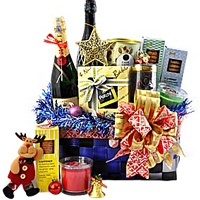 Be happy by sending this Gentle Happy Hour Gourmet Gift Hamper to your dear ones and see the joy it brings to their life. 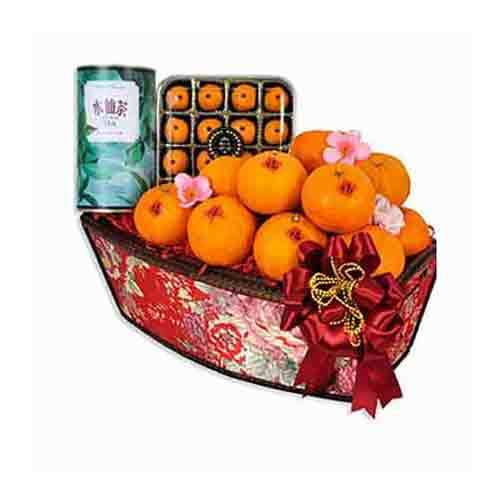 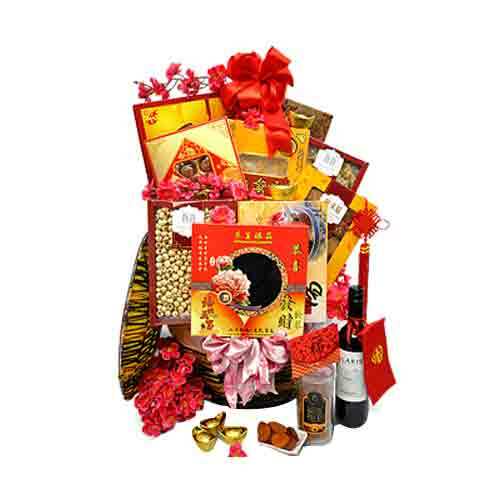 This beautiful Gift Hamper holds Premium White Fungus 108 gr., Organic Sea Birdnest 150 gr., Lo Hong Ka Ginseng Essence 2 x 70 cl., Eu Yan Sang Essence of Chicken 2 x 70 cl., Japanese Style Mochi - Red Bean 200 gr. 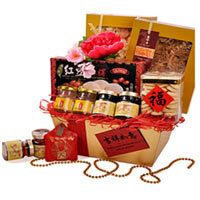 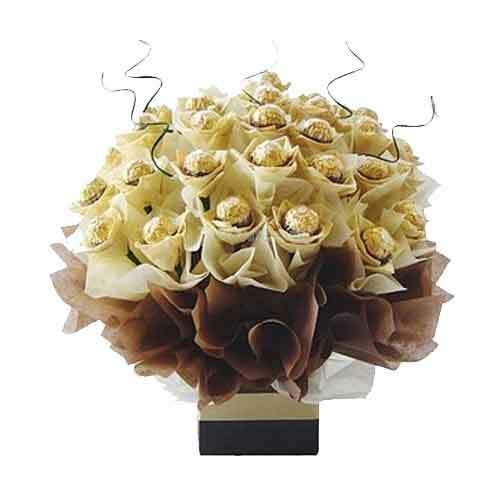 and Dragon Beard Pastries 150 gr.